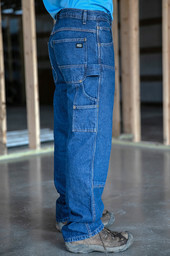 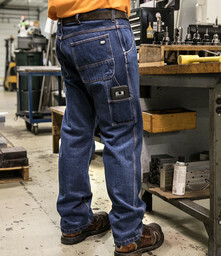 KEY Logger Built Dungaree means comfort with a Full Cut, Back Yoke and No-Bind Rise. 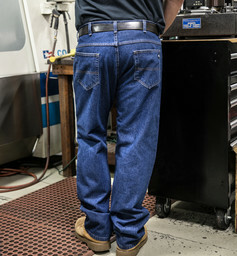 A perfect fit for every build. 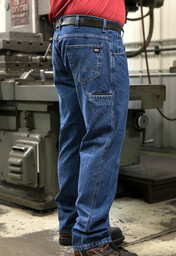 NEW - Heavy Duty Extended Life Denim! 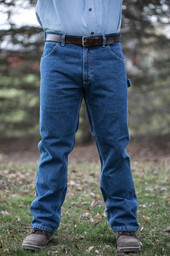 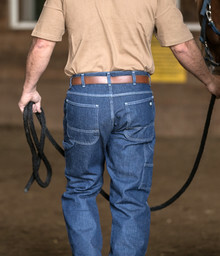 KEY Tough Duty All Cotton 5-Pocket Jean with Special Cell Phone Pocket! 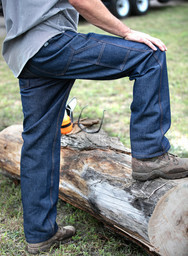 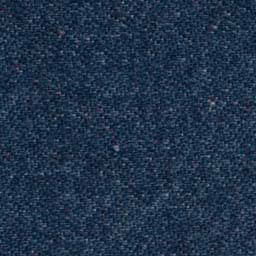 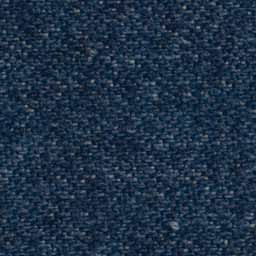 These KEY Indigo Rinsed Denim Dungarees are dark Indigo Blue but softer than the traditional KEY Dungaree.